Wow – I almost can’t believe who is ranked #1 and #2 in the AP poll top 25 college football rankings for week 8, 2010. Taking the #1 spot for perhaps the first time in history (of course, the college football fanatic will tear me up if I got this wrong), is Oregon. And then taking the #2 spot, and equally as shocking from a historical standpoint, is Boise State. That’s right – Oregon and Boise State are #1 and #2 respectively. It’s not until we get to the #3 slot do find the first SEC team with Alabama. #4 is TCU and then #5 is another SEC team with Auburn. 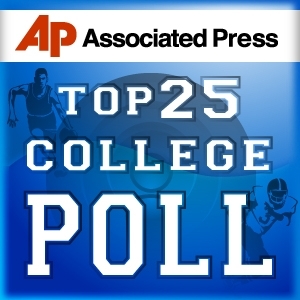 Yes – the AP top 25 college football rankings is a bit shocking from my perspective.